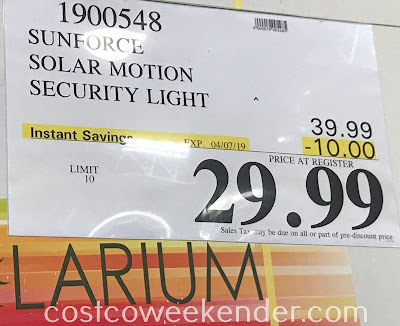 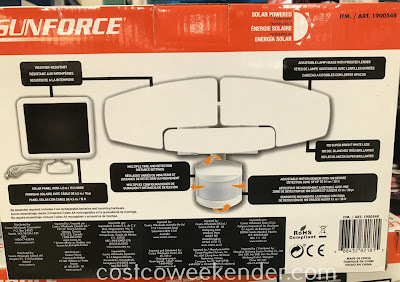 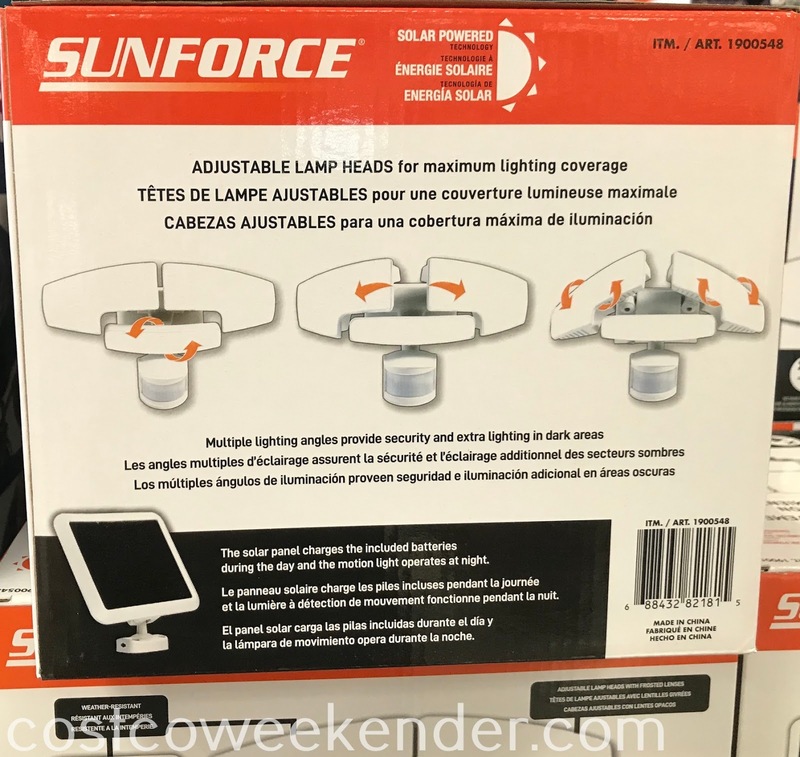 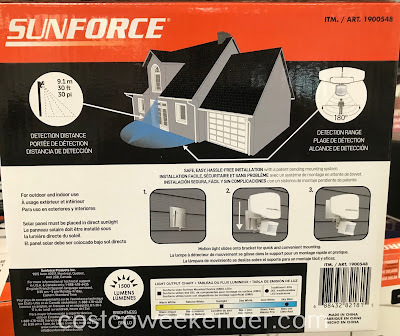 If you want an extra layer of security for your home, but without the high cost of a high-end security system, you can always just get the Sunforce Solar Motion Activated Light from Costco. 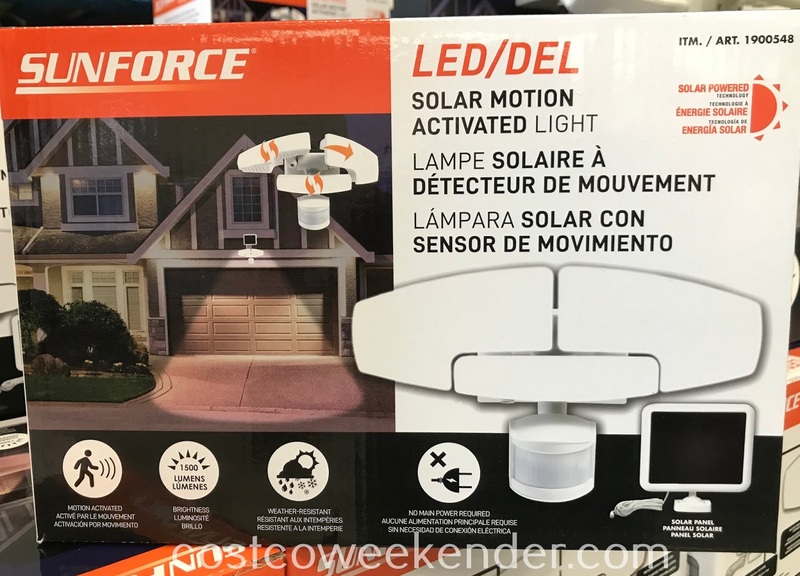 The Sunforce Solar Motion Security Light can detect when people approach your home and will turn on automatically. This feature will scare off would be criminals thinking of entering your home. 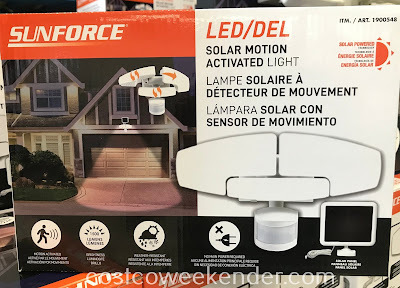 NOt only that, but this is great for when guests come over to visit since the outside of your home will be well lit for them to walk up to your front door without tripping over something and falling. 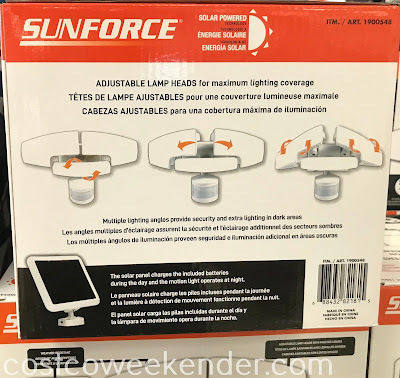 The Sunforce Solar Motion Activated Light will make your home well list and will definitely give you and your family some more peace of mind.